office, or anywhere else you might be. It is easy and convenient. Free 15 minute initial consultation. You can get a feel for using a webcam for counseling. Each session is approximately one hour. Sessions are tailored to your needs and your schedule. 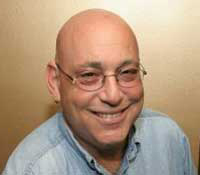 I bring the coaching to you!!!! In many cases you can have a session within hours of your request instead of scheduling a week or more in advance. 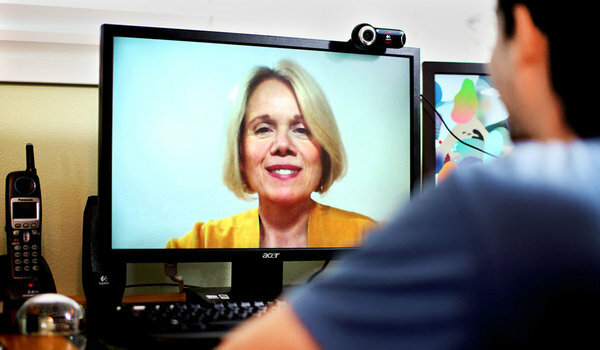 SHOWN HERE: A therapist uses video conferencing to communicate remotely with a patient. Life Coaches are using the same technology in working with clients. "Distance Coaching" via Webcam is my specialty !!!!! Don't wait any longer for help. Email me today! !